I bet most of us do not eat breakfast anymore, why? First, we don’t have bread because we haven’t gone grocery shopping yet. Second, we want something newer than just the usual bread we eat. So, if you need something of a twist, then this easy recipe would perfectly suit your budget. With just two ingredients, you can make tons of loaves of sweet vanilla-flavored bread. Your pantry will always be loaded, that I’m pretty sure of. No more skipping breakfast and I know you have ice cream in your fridge because why not? So here are the two ingredients: vanilla ice cream and self-rising flour. The basic process you must do here is to mix the two ingredients well until a thick dough starts to appear. 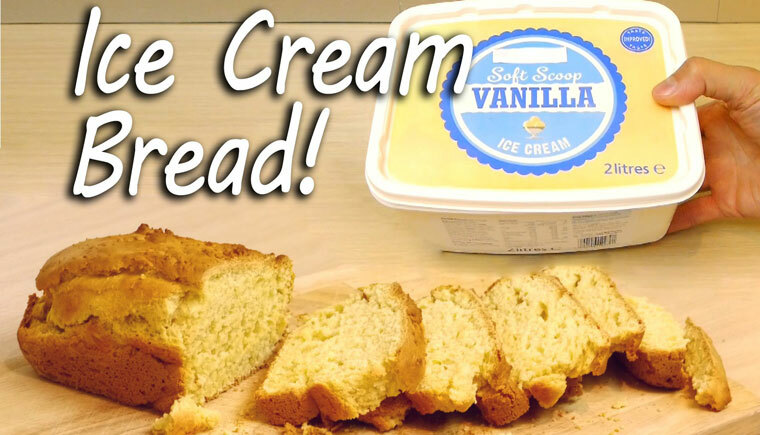 You can change the ice cream flavor to create a wide variety of flavored loaves of bread. A delicious example is a chocolate bread with the chocolate ice cream. Leave it in the oven and let it bake at 180 degrees centigrade for 40-45 minutes and then, your vanilla bread is ready! Match it up with your favorite jam and you’re done. Happy eating!